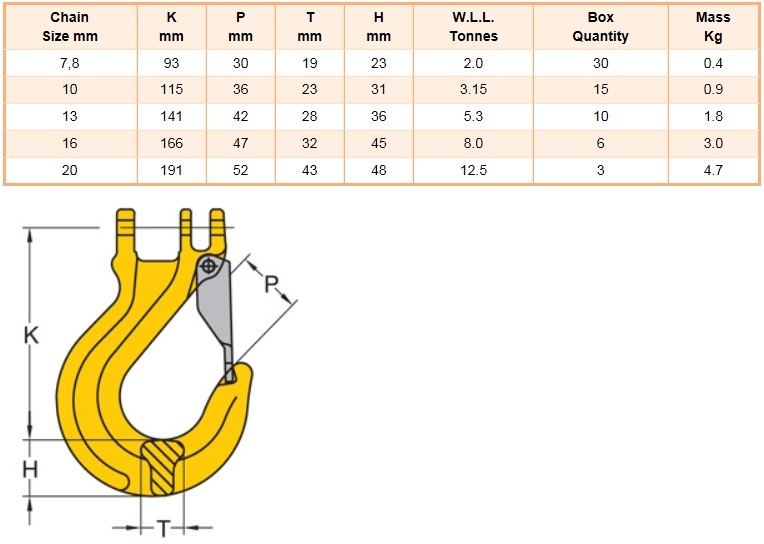 Grade 80 Coupling Sling Hooks are manufactured from alloy steel in accordance with EN1677. All components are individually magnaflux crack detected after heat treatment, they are then individually proof load tested to 2.5 times working load limit in accordance with EN1677. All these lifting components are suitable for use in a temperature range of -40C to 200C without a reduction in working load limit.